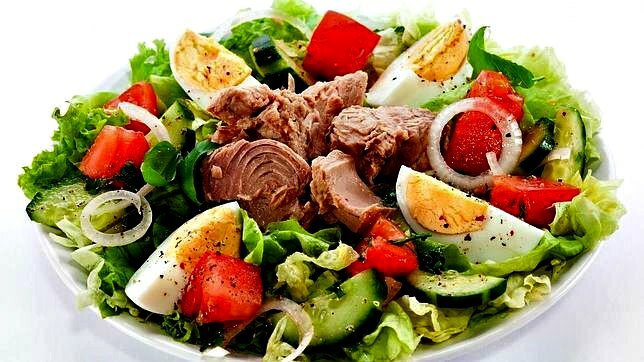 Mixed Salad with Tomatoes, Potatoes, Tuna, and Eggs. My mother used to prepare this everyday salad for us several times a week, usually as a first course for lunch. Today, I often have it as a main course, especially during the summer when I want a light lunch. Numerous variations on this pleasing salad are found across Spain, with such additions or substitutions as preserved white asparagus or green bell peppers. If you see ensalada mixta on a restaurant menu, however, it is usually a simpler affair, made with only lettuce, tomato, and onion. 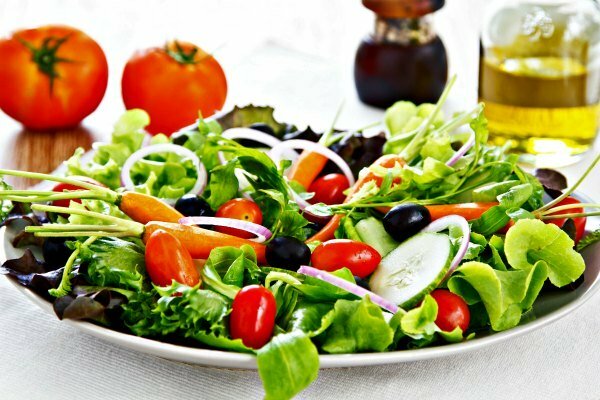 In a large bowl, combine the lettuce, tomatoes, scallions, potatoes, tuna, and olives and mix well. Drizzle all but about a spoonful of the vinaigrette over the salad and mix gently with the ingredients. Garnish the salad with the egg wedges and the anchovies, sprinkle the remaining vinaigrette on the eggs, and serve. Ensaladilla Rusa (Spanish Potato Salad): This is a popular tapa recipe, made of vegetables and mayonnaise... It is served free in most bars in Spain, along with a beer or a glass of wine.